Objective- C to Swift , Bluetooth to BLE , Wifi to Airplay any technological advancement you seek in iOS based product journey you can get when you hire iOS developers from our talented Apple Freak Developers. Our talented team of iOS developer has served customers from USA , Canada, UK, UAE, Singapore , Australia & India. These diversified clientele has strengthen our core knowledge. Numerous iOS App Development & App Upgradation work our developers has done. Our iPhone app developers are well versed in working with latest cutting-edge technologies like Xcode IDE, UIKit, Apple’s Cocoa and Cocoa Touch frameworks, OpenGL, iOS graphics APIs, Objective C and Swift 4.2. With 10+ years of experience in iOS app development, we exactly what a client expects given our abundant experience. Hence, we provide flexibility to them to kick start the iPhone/ iPad app development project with following engagement models. To provide iPhone application development services to our global clientele in the best manner, we provide Staff Augmentation Services with much needed flexibility that compliments our engagement model. Such flexibility allows us to communicate with our clients seamlessly and provide end-to-end enterprise solutions on small, medium or large scales. We offer onsite staffing services for iOS developers to clients and companies within the same geographical border to fill gaps in development cycle by frequent onsite visits or full-time presence at your place. We provide iOS developers staffing services for countries like US, Canada, India, Singapore and Middle East for regular review meetings, system deployment or ongoing IT project development. Hire and employ iOS developers to bring them at our offshore development center (ODC). We have client-oriented process in which our project managers will keep you in loop in communication channels with on-time reporting. We are a trustworthy iOS app development company renowned for innovative solutions we bring to native iOS platforms. We have worked on 400+ iOS app development projects ranging from multiple use-cases and technologies viz. business, Ecommerce, utility, Augmented Reality, Virtual Reality, Internet of Things, etc. and always deliver high performance apps. Our team of watchOS/ tvOS/ iPhone/ iPad app developers in Ahmedabad, India deliver best-in-class Apple iOS app solutions using cutting-edge Mac technologies, iOS software development kit and frameworks. We build tailor-made iOS applications with top-of-the-funnel features depending on the nature of business and industry. We have developed IoT based iPhone apps for driving and predictive analysis of vehicle for fleet management, school bus tracking parent apps, Ecommerce marketplace for car parts, Garage apps and IoT based Smart Parking solutions. Our expert iOS development team has delivered IoT based healthcare solutions to check and monitor health records, Apple watch apps for fitness enthusiasts, On demand doctor appointment platform and meditation apps. We develop iPad/ iPhone applications for hotels and resorts with booking platform, IoT based apps for Smart Home Automation and GPS based apps for child tracking in resorts, AI powered apps for media and entertainment. We develop mCommerce and Smart Retail app solutions on native iOS Platform and integrate other cutting edge technologies like AI, IoT, cloud computing and more offer unique solutions like Smart Mirror for Smart retailing. We help clients to develop insurance aggregator app platforms & mobile wallet apps on native iOS platform. We use 3rd party integration to accommodate payment gateways like Paypal and Stripe into existing and new iOS apps. Our forte also lies in on demand vacation rental platforms like Airbnb. We have developed travel and booking solutions on web and native iOS/ Android platforms. We help our clients for a booking platform to enhance user experience. 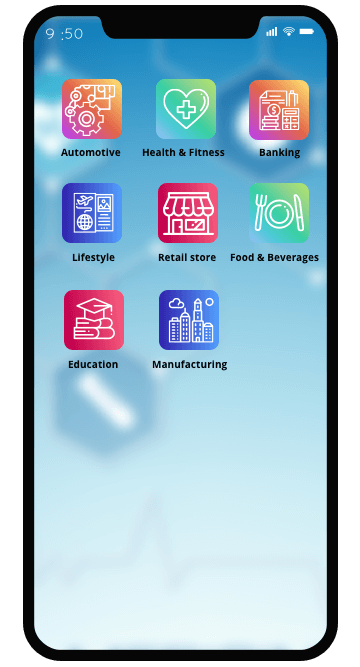 Due to the rise in On demand services in food and beverage industry, our iOS application developers have developed on demand marketplaces applications for online food ordering and delivery for restaurant owners. We offer smart warehouse solutions on iOS platform using IoT, GPS, Geofence and BLE/ iBeacon technology for asset tracking & indoor-outdoor mapping along with CRM & ERP applications to simplify complex business process. Our iOS app developers have delivered unparalleled educational app development solutions to enhance learning interests of students. Our developers can offer mobility solutions to other industries who focus to grow business digitally. We work on complex iOS app development projects for Real Estate industry to provide cutting-edge solutions leveraging AR-VR, iBeacon SDK integration, property rental or booking platform development and more. Why to Hire iOS Developers from Let’s Nurture? Our team of 13+ iOS developers are having tons of experience and have delivered over 400 projects over 37+ in the domain of iOS app development. 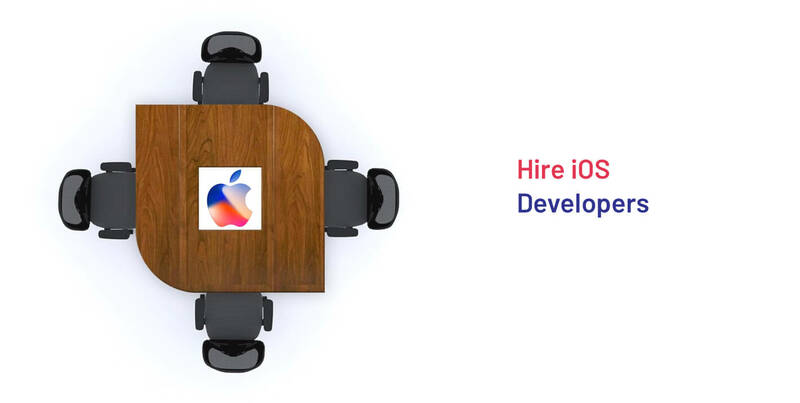 Our iOS team has mastered core programming languages like Swift 4.2, Objective C, CoreGraphics API and OpenGL ES, Cocoa and Cocoa Touch framework development, SQLite database and using XCode IDE and its tools to develop robust and sublime apps compatible with iOS 12.
iOS developers possess average experience of 4.5 years in working with the latest technologies and keep themselves updated with the upcoming versions to provide an app that is compatible with all the latest devices and latest iOS 12. You will interview every dedicated iOS developer you hire. Our flexible engagement models will give you authority to get new apps developed in less time with quick team scaling. We are adhered to NDA signature before starting development. Our systems are enabled with advanced security parameters with CCTV surveillance to secure project’s information. We provide the entire source code no sooner the project completes and also prescribe all the standards for conserving your code. Code is our client’s property only. Quality Analyst team will ensure to tackle all the bugs and loopholes to deliver an optimum product using latest testing tools and strategies. We provide end-to-end iOS app development services regarding consulting, strategic development and UI/UX design, ios app testing, delivery and deployment. How can mobile app development add more value to my Business? Hire iOS app developers who can make tailor-made applications to create unique and engaging solutions. Offers, discounts and promotions through app increases customer engagement and brand loyalty. With the fact that mobile users are increasing on daily basis who use apps to buy/sell services/products, the conversion rate will skyrocket to new heights boosting revenue generation. What steps I should follow to Hire a dedicated/ part-time developer from you? Would I have the complete control over Project Development cycle if I hire iOS development team? Yes. With “Hire a team” model, you will have a direct access of a development team. This business model is most advisable for CTO/ technical people and enterprise level firms who wants the constant changes in the system. What if I am not satisfied with the dedicated developer performance? Will you replace?